10/01/09, 12:00 AM | Solar & Wind | Solar Energy, Technology Discussions | BioSolar, Inc.
As the PV business continues to grow, new backsheet constructions are continually being introduced. But the products we use in our efforts to be more sustainable have a bigger footprint than we think. Currently, there are at least ten commercial manufacturers of traditional PV backsheets, with traditional products in the development stage. Traditional backsheets, the protective covering on solar cells, are produced mainly from polyester and Tedlar films. Polyester is made from petroleum and Tedlar is solvent-cast using DMAC, a highly toxic industrial solvent. Both of these products defeat the purpose of clean, green energy, and as the demand for solar energy increases, so does this issue. The Elithis Tower, designed and constructed as the world's most environmentally sound building, has just been unveiled. Touted as the first positive energy office structure, the tower creates more power than it uses. Designed and constructed at equal cost to a traditional building, the 54,000 square foot structure produces six times fewer greenhouse gas emissions. To achieve this impressive combination, a complete environmental ideology was designed. In a true sign of the times, earlier this month, Ford struck a deal to sell�their�entire Wixom, Mich.plant to two companies focused on the creation and storage of alternative energy. According to Ford officials, the plant is being sold to Xtreme Power of Austin, Texas, and Clairvoyant�Energy of Santa Barbara, Calif., for $725 million and will be redeveloped as a renewable energy park.� The Wixom project is expected to create about 4,000 jobs. Shares of A123 Systems, one of just a handful of U.S.-based makers of batteries for electric cars, debuted sharply higher from its offering price Thursday as investors cheered the closely-watched firm. The firm is one of just a few American companies that are competing with much larger Asian rivals for the potentially lucrative hybrid and plug-in electric car battery market. As the battery is the most expensive component in an electric car, the thinking goes that whoever controls the battery market may ultimately control the auto industry. Few nations are better positioned -- or motivated -- to fuse the fight against recession and global warming than Spain. The country is already a leader in renewable fuels through $30 billion in public support and has been cited by the Obama administration as a model for the creation of a green economy. Spain generates about 24.5 percent of its electricity through renewable sources, compared with about 7 percent in the United States. But with unemployment at 18.5 percent, the government here is preparing to take a dramatic next step. Through a combination of new laws and public and private investment, officials estimate that they can generate a million new green jobs over the next decade. San Francisco to Los Angeles roadtrip . . . in an electric vehicle? Yeah, that doesn't sound so great given the current limited range of EVs, but solar installer SolarCity has decided to lend a hand and has built a set of four solar electric-car charging stations along U.S. Route 101 . SolarCity is calling the project the world's first solar-powered electric-car charging corridor. Each station comes equipped with a 29-kilowatt solar-power system that's connected to the electrical grid, so that drivers can charge their vehicles even when the sun isn't shining. The stations are fast-charging, meaning that they feed electricity into the vehicles more speedily than standard wall outlets. But they still will take more than three hours to fully charge an electric car. Panasonic is set to release the EverLed series of light bulbs-the most efficient LEDs ever produced- next month in Japan. The bulbs use 1/8 the power of an incandescent and are said to get up to 19 years of burn time. They will retail for roughly $40 US and use only 85 lumens per watt for 40W bulbs and 82.6 lm/W for the 60W bulbs so the cost to run one could be as low as $2 per year when their 19-year lifespan is taken into account. US wind turbine manufacturer Clipper Wind Power will build a plant in the North East of England to manufacture blades for its planned 10 MW offshore turbines with the help of a government grant. Clipper will occupy the new 4,000 m2 facility, which will be situated on the River Tyne, from the start of April 2010, and the plant will employ 60 people by the end of the year. The government's Department of Energy and Climate Change (DECC) today announced an award of £4.4 m under its Low Carbon Energy Demonstration (LCED) capital grants scheme for the project, which it hopes will kick-start a domestic turbine industry for the UK offshore market. A fully operational Clipper 10 MW turbine will stand at 175 meters in height, while each blade will be more than 70 meters long and weigh over 30 tonnes. Subterranean Solar, or SubSolar, is a unique and innovative system of utilizing "subterranean solar panels" to gather solar power. No unsightly above ground solar panels need to be used anymore. How Does It Work? A compact optical device is installed upon a rooftop or other sunlight-catching environment. This optical device captures and magnifies the sun`s rays and transfers the sunlight from its linear or cylindrical lenses though fiber-optic lines leading down into an underground storage of solar panel modules. Xcel Energy, which sells electricity and gas in eight western and mid-western states, says its SmartGridCity Project in Boulder, Colo. is now live. At least the smart distribution piece is up and running. That includes the network infrastructure and software for routing power to automated substations and around impacted power lines, and Xcel says the deployed technology is already enabling the company to anticipate network failures and fix broken gear before a major outage occurs. The milestone is important because it shows how quickly utilities are now moving to get smart grid projects deployed. The utility started construction on the project last year, and SmartGridCity is now one of the projects that is the farthest along in the U.S. and one of the first that can claim to have a distribution piece up and running. Canadian Solar , a vertically integrated photovoltaics manufacturer, will develop a 500 megawatt (MW) solar power plant in the Inner Mongolian city of Baotou. The project will be broken into three chunks, beginning with a 100MW phase to run from September 2009 through December 2011. It will be followed by two 200MW phases. To have a solar project of such magnitude in Baotou demonstrates our determination to develop the PV end-user market in China, as well as our commitment to cleaner and more sustainable economic development in Baotou. Chinese auto company Build Your Dream (BYD) plans to bring an all-electric sedan in small numbers to the U.S. next year. The company chairman Wang Chuanfu told the Wall Street Journal that the company, which is part-owned by investor Warren Buffet, is now gearing up for a U.S. push. It plans to raise money by offering shares in the company in China to help finance the expansion. BYD plans to offer a few hundred of one of its most advanced cars in the U.S., the five-seat e6, which takes seven to nine hours to fully charge and has a 250-mile range. At the OshKosh AirVenture show a few weeks ago, Beijing startup Yuneec International took the wraps off the worlds first commercially produced electric aircraft, the E430. Powered by lithium polymer batteries, weighing close to a thousand pounds, and sipping about $2.50 worth of electricity per hour of flight, the E430 has completed more than 20 hours in test runs during the last couple months, including one in Camarillo, CA. Little more has been revealed about the E430, other than some technical specifications and that it can operate for up to three hours without a charge. The latest Electric Power Monthly Report released by the Energy Information Administration (EIA) shows net U.S. electrical generation from renewable sources (biomass, geothermal, solar, hydro, and wind) reached an all-time high in May of 2009, comprising 13% of the total electrical generation for the month. Renewable sources generated 40,395,000 Megawatt hours (Mwh) , 7.7% higher than for May of 2008, and thus far the highest figure ever reported by the EIA. Mike Tinskey, manager of Ford's sustainability activities, outlined what Ford sees as essential ( controllable success factors ) for electric vehicles and supporting infrastructure, during a presentation at the Plug-in 2009 conference in Long Beach this past week. During his talk, he suggested that migrating to battery commonality would be a huge win for the industry simply because it would support a more rapid achievement of the higher production volumes required to bring prices down. 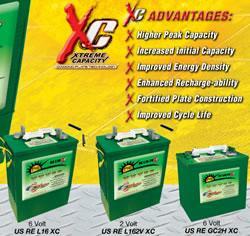 According to Tinskey, The biggest issue with batteries now is not necessarily the technology, it's the volume. If the battery manufacturers could get north of 100,000 packs, annually prices come down drastically.